-You could try tasty and nutritious options like orange juice, bananas, yogurt, blueberries and chocolate milk with Ozera ice pop molds and create your own unique frozen treats by using juices, purees, yogurt, gelatin, fruit, ice cream, pudding, jams and jellies. 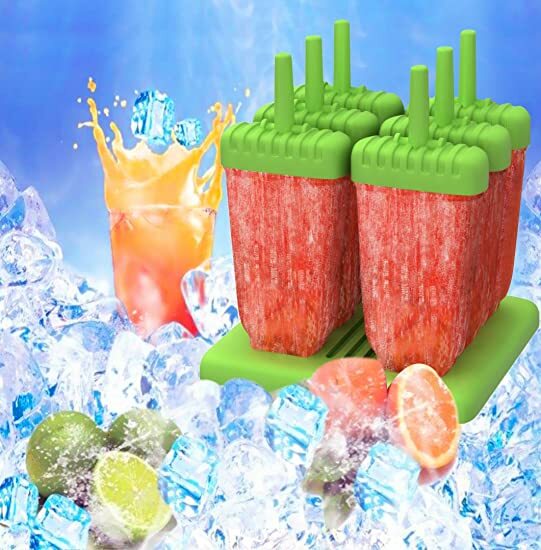 -Your home made popsicles will delight the kids and their friends with their unique shape and built-in drip guards. -Popsicle molds designed for easy removal, and popsicles can store individually in the freezer to save space. -Create healthy, money saving pops in your own freezer. -You'll feel great for giving your kids an all-natural frozen treat for lunch, dessert or an after-school snack! Ozera highly appreciates all customers' opinions to improve the selling ,also if anything you unsatisfied, pls contact our customer service department for probable best solution. Our promise to you: Customers are our top priority, which is why kitchen buddies offers a lifetime replacement guarantee, so you can be positive you are receiving the highest quality products! Click the ""Add to Cart"" button now to make us a buddy in your kitchen. 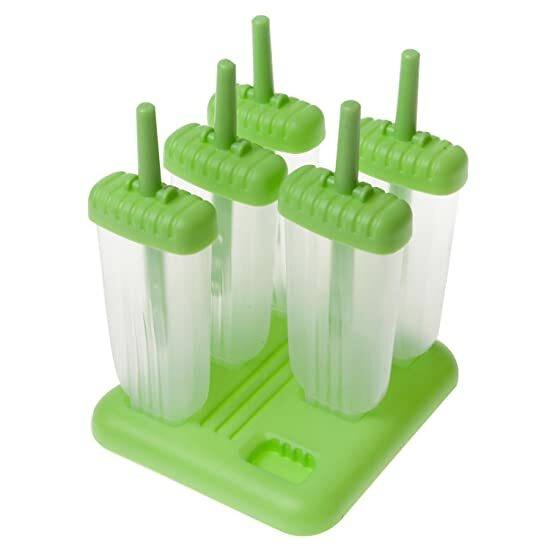 SAFE & RESUABLE : Set of six ice pop molds made of durable BPA-free plastic and FDA approved, environmentally friendly and kid safe. 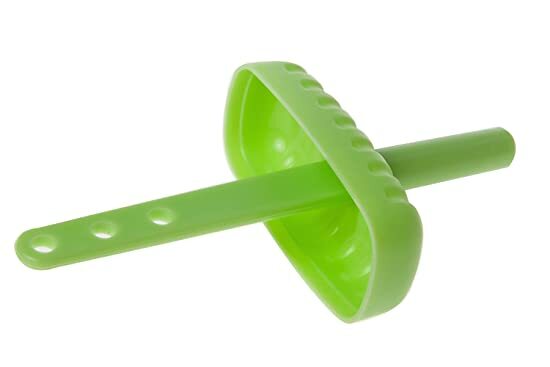 Our popsicle mold helps reduce waste with an eco-friendly reusable design. You can use them again and again in the freezer for years to come. SIZE & CONVENIENT: Turdy ice pop popsicle molds base measures 6 x 5.5 x 8 inches. 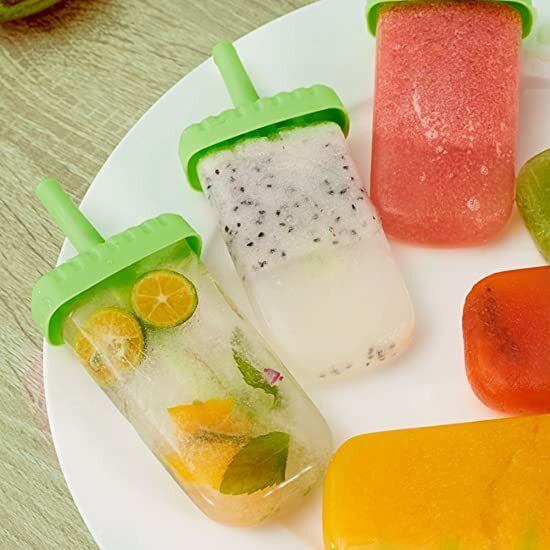 The handles feature built -in drip guard to keep hands and clothes clean while smartly designed shape make it easy for frozen pop to slide out of mold. 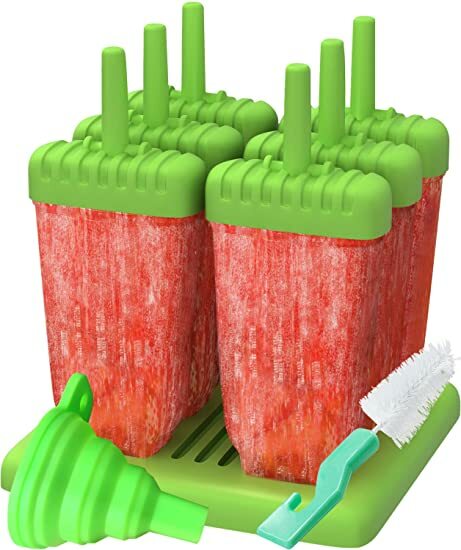 These popsicle molds comes with a free folding funnel to avoid the mess and a special brush to clean the product perfectly. 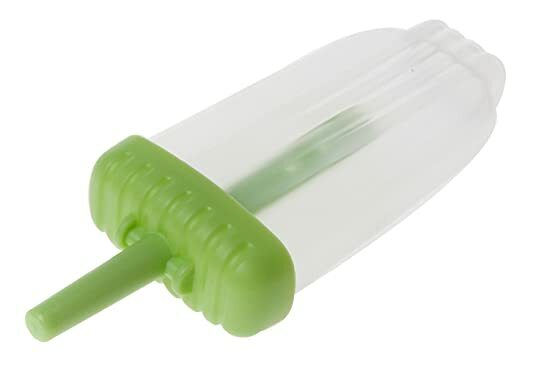 EASY TO CLEAN: Ice pop molds designed for easy to use and clean, totally non-stick and dishwasher safe. Keeps pops from tipping while freezing, after frozen individual pops fit neatly in freezer to save space. Enjoy a lifetime of tasty, healthy ice pops straight from the freezer. 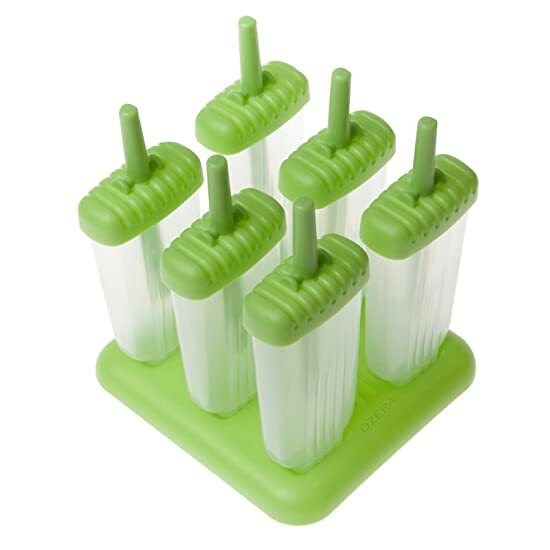 BEST GIFT FOR ALL OF YOU: Ice pop molds are made especially for freezing juices and other ingredients into perfect freezer pops. You can create your own unique frozen treats using juices, purees, yogurt, gelatin, fruit, ice cream, pudding, jams and jellies. Every frozen treat can be perfectly catered to your family's tastes. It is an excellent gift for your friend or little kid. TOTALLY NO RISK: We take pride in delivering top quality products and guarantee a FULL refund if you are not satisfied with our products. Lifetime warranty for any issues and our complete customer service gives you comfortable purchase experience.